The name Alcantara is of Arabic origin (al-Qanṭarah meaning 'the Arch'). 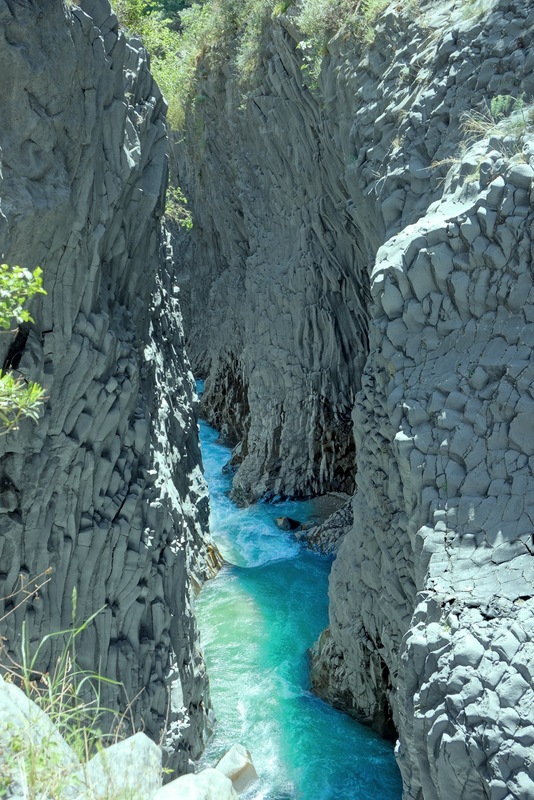 The 'Gole' offers canyons up to 50 meters deep, which you can traverse when the water is low, later in the season. 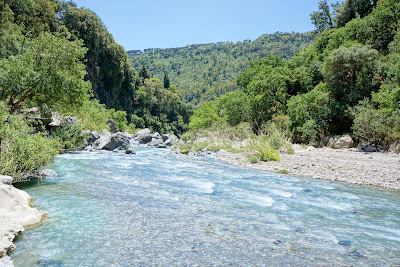 Right now, there's still too much meltwater coming down the mountain slopes and people use the side of the fast fowing river as a local beach. The walls have a weird over-saturated grey colour and appear checkered, or built from piled up boulders.